Hollywood’s most recent depiction of disability is inspired by a true story, told through the lens of ableism. Disabled moviegoers will unlikely see a genuine representation of disability. Even more unlikely? The presence of an actually disabled actor on screen. Cranston is not a quadriplegic yet plays a character who is. Because of this, one might think that there is a shortage of disabled actors. Unlikely. The shortage seems to stem from the lack of forward thinking Hollywood executives. Ipiluni has Autism and is accompanied by a service dog. Her presence as an actress does not financially cost more than that of her non-disabled counterparts. However, having her service dog on set doesn’t always fit the Hollywood narrative. For actor Michael Patrick Thornton, Hollywood’s erasure of disability – and disabled actors – is frustrating, and he believes it stems from a larger, psychological ideology. “I’ve had enough of it,” Thornton said. Thornton, who is most noted for his role as Dr. Gabriel Fife on the ABC drama series Private Practice, had a spinal stroke in 2003 that left him comatose and paralyzed for three days. Although he regained some of his mobility, he quickly encountered the industry’s disregard towards disabled actors. “In the early years of my recovery, I basically was just sent in for ambulance-chasing law firm commercials; you know, the image of tragedy,” recalled Thornton. Despite Thornton’s acting success, losing jobs portraying wheelchair-using characters to abled-bodied actors is feeling more and more gut wrenching. “It’s like a heavy swift kick in the stomach these days,” Thornton said. Ahh yes, “Showbiz.” The glitz, the glamour, the stars and, as Ipiluni and Thornton both shared, some good people creating life stories. Life stories that clearly omit the disability perspective. Art imitating life cannot be achieved without authentic representation of who we are. 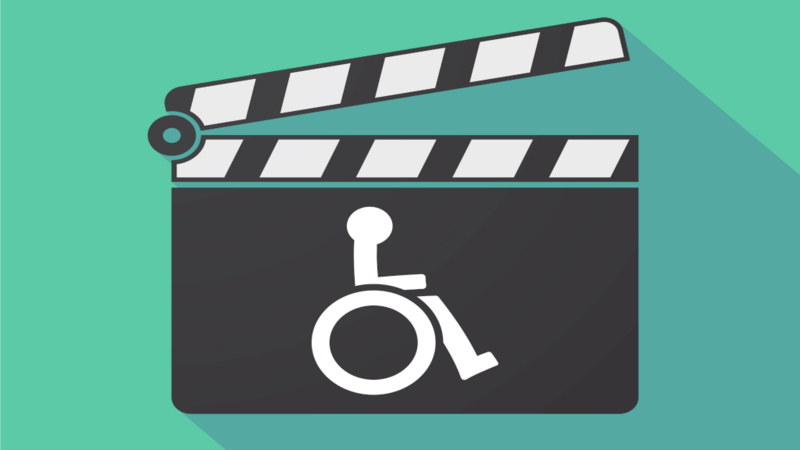 Disabled actors, writers, producers, and directors are here to tell our stories. Authentic life stories. Val Vera is a freelance writer and disability rights advocate living in the Dallas/Fort Worth, Texas area. He is a graduate of Purdue University and obtained much of his professional experience while residing in San Diego, CA. Val is a self proclaimed movie snob and enjoys writing poetry and spending quality time with his fiance Michelle. Am so interested to be in artist in movie etc. But for disablities community’s not have rights am happy to I have some konwlage also course about it it is helpful how I leading association of person with disablity .